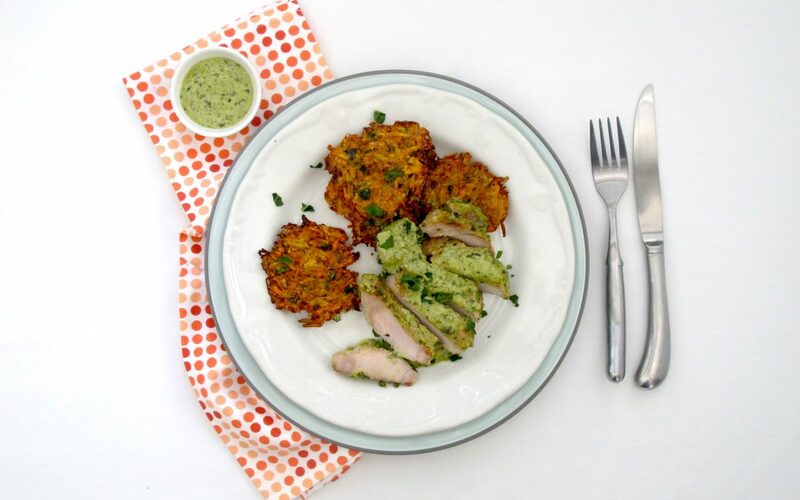 Juicy Pork tenderloin’s served with baked Potato, Baby marrow and Carrot fritters. All smothered in a creamy pesto sauce. Simply delicious!